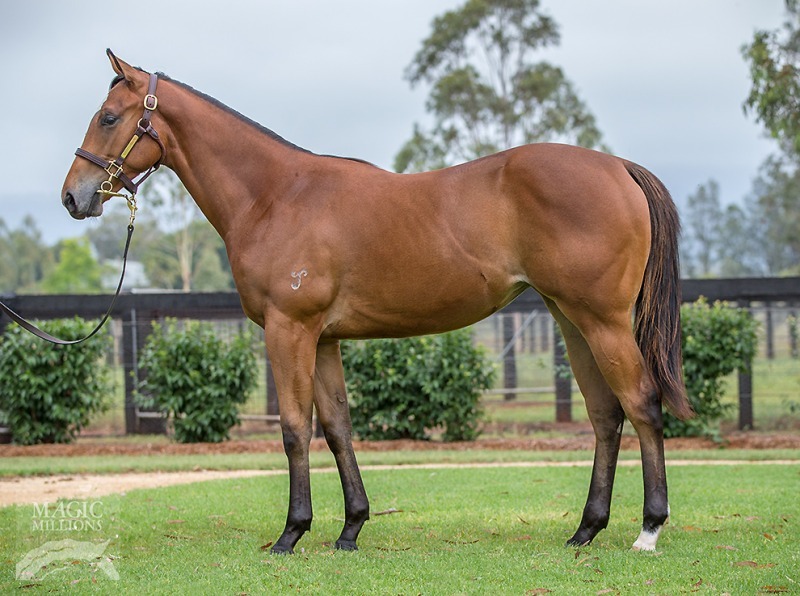 The team were wrapped to secure Lot 225 from the Yarraman Park Draft at the 2019 Magic Millions Yearling Sale, a racey type out of Group 1 placed mare THINKING OF YOU. Thinking of You (Thorn Park) had two career wins over 1100m and 1400m, she also ran third behind First Seal and Winx at just her third career start in the 2014 edition of the G1 Flight Stakes. This filly is the first foal from the mare who has crossed beautifully to Hinchinbrook's first season sire and dual Group 1 winner PRESS STATEMENT. Press Statement retired to stud duties in 2016. He was an undefeated Group 1 winning 2yo, having 3 starts for 3 wins including the GR1 BTC J.J. Atkins Stakes. He went on to win the time honoured Caulfield Guineas Gr.1 as a Spring 3yo, won by successful stallions such as Lonhro, Redoute’s Choice, Luskin Star and Vain. "This filly oozes a lot of quality and is exactly what we wanted to include in our 2019 crop. She's a athletic, speedy type out of a good race mare by an exciting first season sire." Champion Director Jason Abrahams commented after the purchase. "She'll be given every chance by Randwick trainer John O'Shea who also had alot of input when we were inspecting her at the sale complex."